Choosing to shop for your groceries online can be, for some, a pretty dramatic decision. Instead of going down the aisles of the market yourself, you're relying on grocery pickers to choose the best products for what you want to buy. 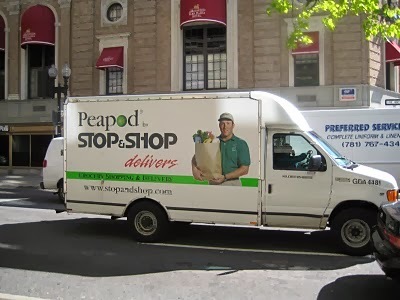 Instead of driving to the market to shop, you're relying on either someone to pack up your groceries for pickup or to deliver them in a timely manner. Most online grocers actually offer their products at comparable prices to regular supermarkets. While there can be delivery fees, pickup options are normally free and you end up saving more because you’re not making impulse buys while hunting down the aisles. Overall, the expenses of shopping for groceries online depend on what you're buying and how much you value your time and the convenience of delivery. Without impulse shopping and with the ability to better plan out meals and compare prices, online grocery shopping can actually end up saving you money. With the delivery schedules and large trucks that probably don't get great gas mileage, it's easy to think that most online grocery shopping are not great for the environment. This actually couldn't be farther from the truth. Shopping for groceries online could actually be good for the environment. A study by the University of Washington “found that using a grocery delivery service can cut carbon dioxide emissions by at least half when compared with individual household trips to the store.” Carbon emissions were in some cases reduced by over 50% when delivery trucks picked up and distributed groceries. It's pretty amazing and very cool. Check out the study here. Thinking about shopping for groceries online? Get the ingredients to thousands of recipes delivered.